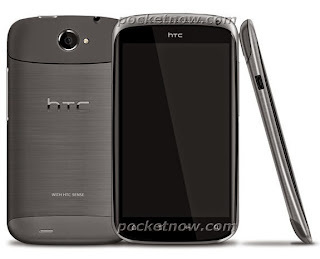 It's All My Blog: Leaked Video Of The Upcoming HTC Ville Shows Up, Will Sense 4 Ruin ICS? Considering the low video quality, it's hard to say exactly what has been changed in Sense 4 compared to previous versions, aside from the pretty animations. There is one thing certain though - it still looks the same. In fact, at first glance, we thought the Ville was running Gingerbread - until they showed the version information, that is. It's hard to believe that ICS can go from the elegance and beauty offered by the stock experience to... this. We'll admit, Sense used to do a lot of good for Android. It looked great and brought useful functions to handsets. The problem is, while Android has evolved into a more mature OS, Sense has stayed the same version after version. That tired black bar with the same old green battery icon? Please. That looks awful compared to stock ICS. Hell, it didn't really didn't even look as good as stock Gingerbread. Every little bit of Android seems to be skinned with Sense 4 (much like previous versions), taking away most of the things people love so much about stock ICS. The Ville is rumored to be slated for an April release, but we'll have to wait for the official word from HTC at MWC end of this month.